I received my 1971 Jaguar XJ-6 Series 1in pretty sad shape. It looked good from the outside and had freshly rebuilt Chevy 350 engine and TH700R4 transmission, so it ran very well, but the interior was completely shot. 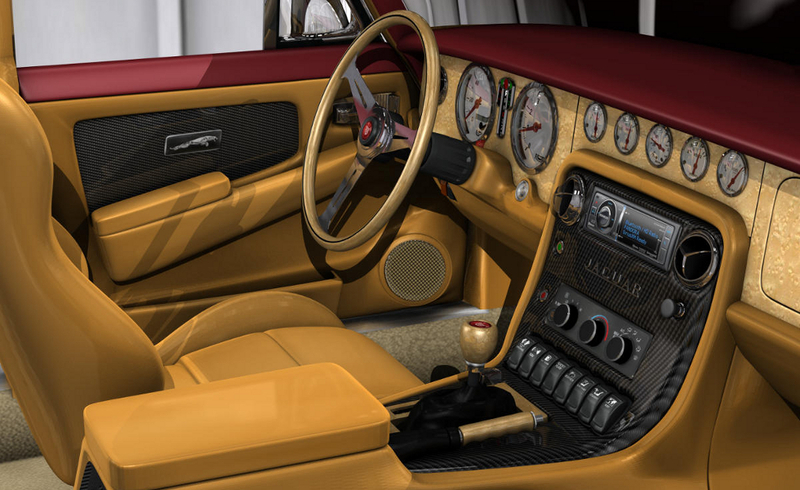 Since the car did not have its original engine, I could not register it as a classic, so I decided to do a custom interior for the car. I wanted it to look very modern, but still keep the classic Jaguar wooden dash and upholstered center console. With these the constraints, I had a lot of lattitude to try different ideas, copy from other auto types, and try new techniques in the process. I had to think a lot about buy or build, and how I could update a 40 year old interior without making major structural changes to the car. One thing I wanted though, was a car that I would have fun driving and would be proud to show to my friends. 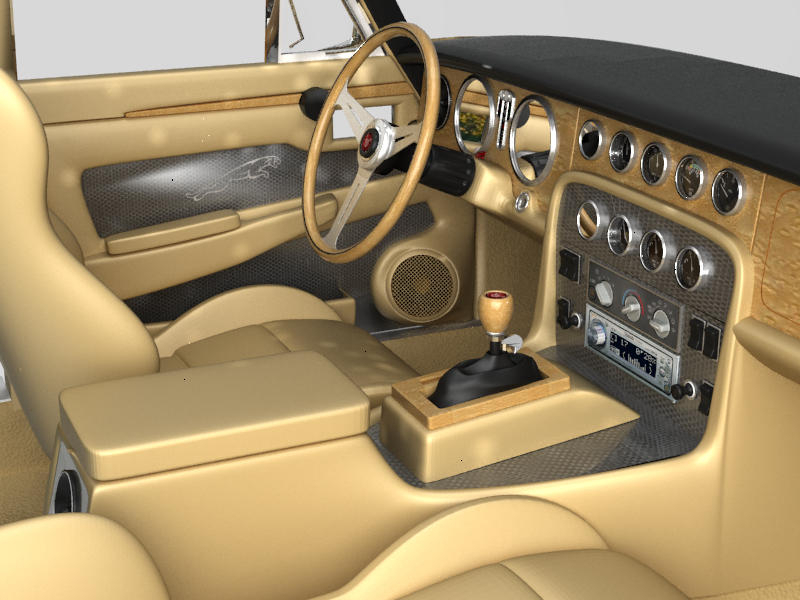 The project started by reviewing images of the original Series 1 interior, as well as looking at modern, high-end luxury cars, such as Bentley, Aston Martin, Rolls-Royce and Jaguar. 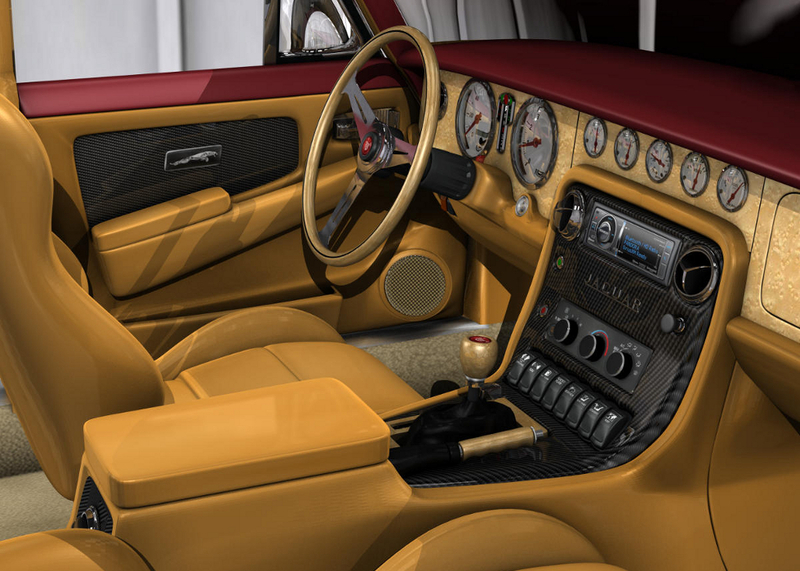 The brief was to keep a classic luxury car feel, but to add updated materials, like carbon fiber, modern switchgear and more instrumentation to bring it up to date. The layout of the interior and the constraints of the brief dictated most of the design. 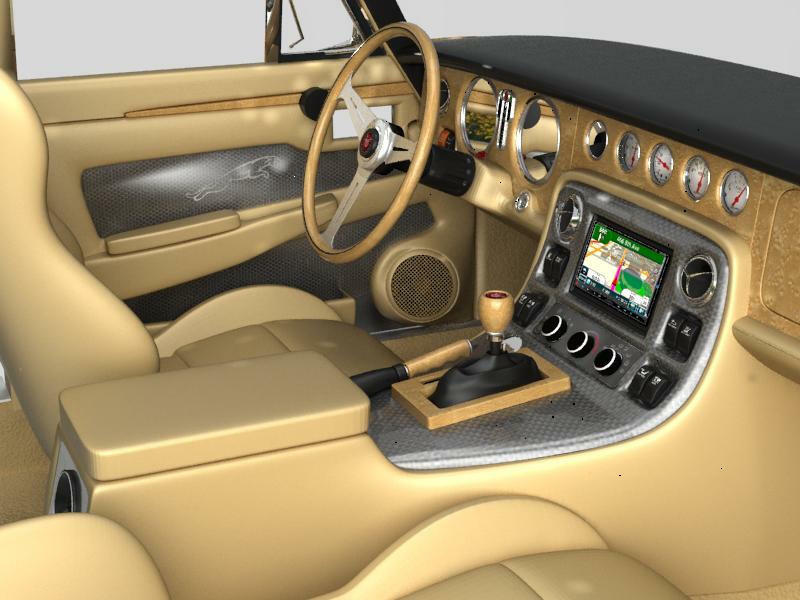 Being unable to change the general layout of the interior meant that radical changes to the dashboard/center console would not be possible. The XJ-6 is not a particularly roomy automobile even for its late 1960's design. A very high dash, upright front window, small A and B pillars, upright driving style and high window sills dictated much of the design. 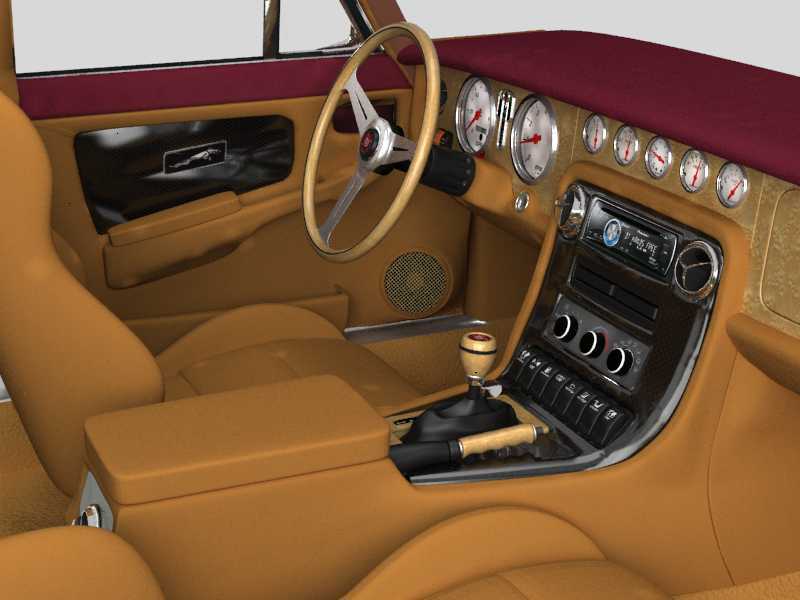 The use of aftermarket race seats also placed some limits on the design, particularly in regards to interior colors. I started this visualization by using Blender to create all the 3D assets. Over eight years of experiance with the tool makes creating new 3D objects easy and quick, especially when using Blender's advance Sub-Surface Modeling tools and node based textures. Many of the original images were created using the Yafaray render engine, but the newest incarnations of the Blender render engine has advanced enough to give many of the features that were only found in other renderers, like HDRI lighting. The featured render used Blender 2.7 with HDR lighting. Some slight touchup was accomplished with Photoshop and The Gimp. If you would like to see more about the entire project, including work done on the exterior and interior, please visit leapingv8s.blogspot.com.